PMI® Classic static rope has been at the heart of mountaineering and caving worldwide for over 30 years. 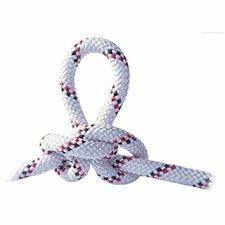 Extreme durability and substance you can rely on are what this rope is known for. Built to exacting Cordage Institute Life Safety Rope requirements, this rope features a hard-wearing 16-carrier nylon sheath and a static core design. PMI® Classic Sport rope normally features an EZ-Bend Sheath, offering a fine balance between extraordinary abrasion-resistance and good knotability. For even greater abrasion resistance, consider asking about PMI® MaxWear.